Answers to questions about MMPC, our methods, services, pest solutions or pest-related issues, conveniently organized by subject. MMPC is headquartered at 39-27 29th Street, LIC, NY 11101. How can I become an MMPC-affiliated partner? Should your business wish to become an MMPC-affiliated partner, contact us. Amongst the criteria for MMPC affiliation and partnership are positive recommendations and referrals, a positive online presence and favorable client reviews. How can I join the MMPC team? We are always seeking talented and dedicated individuals to join our growing team. To inquire about a particular position or field, email your resume to resumes@mmenviro.net. Please list the job title in the subject line. What areas does MMPC service? We provide customized pest control solutions to clients in New York City, Long Island, Westchester, New Jersey and Connecticut. What kinds of residential clients does MMPC serve? MMPC serves a variety of residential clients, including single-family and multi-family residences, apartments, condominiums, co-ops, condo associations, senior care facilities and nursing homes. To serve varying needs, structures and layouts — and address the sensitive nature of residential spaces — we customize solutions and treatment programs to suit the specifics of each situation. Does MMPC work with co-ops? Condo associations? Senior care facilities and nursing homes? Yes, MMPC has customized solutions and treatment programs to suit the unique needs and concerns of each residential situation. What is MMPC’s Elderly Care IPM? Elderly Care IPM abides by core IPM standards, with focused attention paid to the health concerns specific to elderly residents. Nursing homes, assisted-living homes and independent senior living communities are unique, self-contained micro-communities — with kitchens and dining areas, shops, salons, and theatres — in addition to apartment-style housing. Because these facilities function as both a home and a neighborhood, care must be taken to ensure that everyone’s health and safety are taken into account. When treating elderly care environments, we are especially attentive to the fact that residents may be particularly sensitive to certain pest management methods. What kinds of commercial clients does MMPC serve? We have developed pest management strategies to meet the unique needs of clients that own and manage retail chains, hotels, movie theatres, and showrooms. What kinds of corporate clients does MMPC serve? We have customized treatment plans for commercial banks, airlines, offices, hospitals and schools. What does MMPC’s Emergency Response Team do? Sometimes, unexpected and unwelcome surprises may arise when dealing with a pest problem at a home or a business. To meet these needs, MMPC’s Client Representatives are available 24/7 to address any concerns. Our Emergency Response Teams can also solve sudden or emergent issues that occur at any point during the course of a client’s pest management treatment. What kind of Pest Safety Programs does MMPC provide? In addition to being licensed, insured, and certified, every MMPC technician has undergone Pest Safety Program training. In this program, our employees learn how to minimize accidents and contaminations, and avoid property damage. The Pest Safety Program aligns with our Integrated Pest Management (IPM) Program codes and practices — and includes specialized training, such as proper pesticide disposal protocols. MMPC technicians are trained to ensure the safety and security of every space they treat — from inspection through to the clean-up phase. What does MMPC’s Organizational Education + Training involve? Through speaking engagements and informational sessions, MMPC provides education and training in eco-friendly pest control methods to the staff and management teams of companies, corporations and institutions. Instructional presentations — hosted by MMPC technicians — enable us to share knowledge and expertise and ensure proper maintenance of MMPC pest control solutions. These sessions are in keeping with the core goals of our IPM Program, which stress the importance of client communication in maintaining a pest-free environment. What are MMPC’s Corporate Response Protocols? MMPC has established pest response programs and provided staff training for over 100 corporate clients in various industries — from airlines to e-commerce. We partner with each client’s HR Department to maintain company policies, especially those involving confidentiality and employee protection. Corporate Response Protocols for pest management are like the fire safety and emergency escape plans established by the fire department. In both cases, experts collaborate with a company to devise a comprehensive plan that meets their unique needs and situation. All issues and scenarios are methodically and strategically addressed, and organized into a flowchart to facilitate expedient execution, should the need arise. Can MMPC customize a solution for my situation? Yes. MMPC takes a personalized approach to every situation, since no two locations or problems are the same. We first listen to a client’s concerns, then conduct an in-depth inspection — evaluating and assessing the situation to determine the best and most effective methods and treatment. How can MMPC’s Consultative Services support my organization/business? A key part of our IPM-aligned practice is the importance of the relationship and communication we develop with each client. Clients are educated, aware and empowered through the knowledge and training they receive in workshops and educational sessions. This enables them to independently implement safe, effective, eco-friendly practices in the home and workplace. Education in pest management and treatment can help prevent a small office nuisance from becoming a larger problem that your employees take home with them. What kind of Project Management Services does MMPC provide? Our Project Management Services educate architects, engineers and construction teams on ways to design and build structures that prevent pest issues from the start. A sound, sealed building is the foundation of a pest-free zone, and pest-proofing a structure should be part of any early planning stages. Our methods are LEED certified to guarantee efficiency and sustainability. What does MMPC’s Forensic Entomology Team do? To understand and treat pest issues, you must understand the nature of the pest. Our Forensic Entomology Team members are investigative “detectives” — examining photos and environmental details, determining behavioral patterns — in order to provide the most appropriate, effective pest solution. Our team draws on years of firsthand experience, working on each case methodically: identifying the insect and bites, diagnosing the issue, pinpointing the cause, monitoring the situation and providing treatment. This investigative process enables us to provide a long-term cure for your pest issues, rather than a temporary bandage. 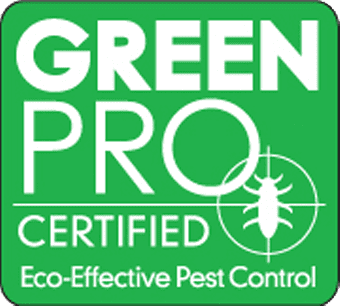 Why use eco-friendly pest control methods? An eco-friendly approach protects your health, since some pesticides can cause or aggravate health issues, especially for the elderly, children or pregnant women. Our methods protect our environment. When toxic pesticides are used, harsh chemicals can be released into surrounding air and water flows, accidentally killing non-targeted plants, animals and endangering the health and safety of others. Eco-friendly pest control methods are long term solutions. Unlike indiscriminate spraying or other temporary fixes, our methods (such as pest proofing/exclusion), focus on prevention as well as elimination. Is eco-friendly pest control as effective as conventional methods? Yes. In addition to preventative pest-proofing, we use botanically-based products (made from essential plant extracts) that mimic the natural defenses used by plants and trees to repel insects and microorganisms. These methods are harmful to pests, but are safe and EPA-approved for use in homes, offices, and other environments. Canine Inspectors: How accurate are they? According to a University of Florida study, scent detecting canines have proven to be 98% effective in bed bug detection. As a part of our investigative process, MMPC confirms canine scent detection findings with visual inspection, increasing the accuracy of detection results. Canine Inspectors: How does it work? Bed bug detecting dogs use scent rather than vision to detect bed bugs and viable bed bug eggs. Like the canine teams trained to detect explosives in airports, bed bug canine units are teams of trained entomologists and skilled NESDCA-certified dogs. These teams seek out both live bed bugs and viable eggs through a modified food and verbal reward system. When our dogs pinpoint areas believed to harbor bed bugs or their eggs, our technicians will collect samples from that area to test and confirm infestation. According to a University of Florida study, NESDCA-certified canines are approximately 98% accurate in detecting the scent of bed bugs. NESDCA training enables our teams to accurately identify the presence of one lone adult bed bug, or five bed bug eggs. Canine Inspectors: Why should I consider hiring a canine team? MMPC’s canines are trained for several months in a specialized scent detecting facility — known as the “gold standard” in the entomology canine detection field. Daily training keeps the teams’ skills honed and sharp. Our Canine Inspection teams are certified by the National Entomology Scent Detection Canine Association (NESDCA), an independent national organization dedicated to providing the highest quality scent detection methods for canine training teams. A study conducted by the University of Florida concluded that NESDCA-certified canines have an accuracy rate of as high as 98% when compared to non-certified canine teams. Eco-friendly Pesticides: What are they? The use of pesticides is always our last choice for eliminating pests. However, if all other methods have been exhausted, we employ botanically-based pesticide products, developed with essential oils extracted from plants. These pesticides mimic the natural defenses plants and trees use to ward off insects and pathogens. The essential oils attack key insect neurotransmitters that control movement, behavior and metabolism. Pests in contact with these products are quickly eliminated, and future pests are repelled. And while deadly to pests, these botanically-based products are safe for humans and pets. IPM is an ecosystem-based strategy that focuses on long-term prevention of pests or their damage through a combination of techniques, such as biological control, habitat manipulation and modification of cultural practices. Maintaining proper sanitation: do not leave out any food which might attract pests, and clean up any spilled foods or grease. Developing pest exclusion habits: any new item that will be brought into your environment (food, furniture or clothing) should be inspected for signs of pest activity or harborage. Keeping your structure secure: inspect rooms for structural issues (such as gaps between baseboards and flooring, or around utility pipelines) that may become entry points for pests. Pest proofing (sealing entry points) is an effective preventative measure. Monitoring regularly: observe your environment for any sign of pest activity and maintain communication with pest control professionals to make sure that problems can be caught and dealt with early on. Exclusion: What is it and how long do these methods last? Our Exclusion methods are designed to provide a permanent solution to pest issues. The practice involves the sealing of all potential pest entry points around a home or structure. Rodents and insects can find their way into buildings through holes, cracks and crevices often overlooked by the occupants. Our trained and experienced technicians are able to find these entryways and thoroughly seal them. When all openings are located and sealed with the proper methods and materials, Exclusion prevents pests from entering that space again. Exclusion: Will MMPC move appliances? If an appliance must be moved or unplugged to facilitate treatment, we will disconnect and move appliances that are not built-in or require special installation. For built-in, heavy or complex appliances, we ask that clients contact a manufacturer-certified installer to assist with the moving and installation process. MMPC clients are supplied with detailed preparation instructions a week before any scheduled treatment, to provide ample time for any arrangements that need to be made. Freezing: How effective is cryonite? Cryonite involves the use of a carbon dioxide ‘snow’ that freezes and kills targeted insects. Because this method does not rely on chemicals, it eliminates the possibility that insects will build up a resistance to the treatment. Cryonite effectively eradicates pests if it is applied directly to affected areas. For this reason, a skilled, highly experienced technician must properly administer the treatment. Simply spraying a blanket coating of cryonite in an environment will not be an effective solution. Freezing: Why can’t I use cryonite alone? While freezing/cryonite alone is highly effective, its efficacy is increased when combined with other eco-friendly methods. Currently, no single method exists for treating a bed bug problem. Freezing effectively treats items like appliances, machines and furniture, but this method needs to be combined with the application of an eco-friendly pesticide that penetrates deep inside cracks and crevices within walls, to insure continued elimination. To address some pest situations, freezing and eco-friendly pesticides can be combined with ambient heat treatment for effective results. Cryonite is a freezing method, not a chemical one, making it 100% safe for use in homes and offices. It is an ideal method for treating sensitive items like cribs, appliances and electronic equipment, since does not leaves behind residue that could damage surfaces. Vikane Gas: Can gas treatment spread the problem to my neighbor’s home? Vikane gas can only be applied to free standing structures, so neighboring homes are not at risk for pest contamination. Structural fumigation involves tenting the entire structure which will contain the gas and the pests within. Vikane Gas: Is it safe? Release a warning agent to ensure the premises are vacant and to deter entry into the structure before and during treatment. Post warning signs and install secondary locks on all entry doors. Monitor gas levels inside and outside the fumigated structure. Post-treatment, MMPC will aerate and test the air inside the structure to ensure that the Vikane gas is completely dissipated. Vikane Gas: How do I prepare for a structural fumigation? MMPC supplies detailed preparation instructions to ready your structure for gas treatment. The process takes 3–4 days, so clients will need to vacate the structure during the treatment period. Vikane Gas: How effective is the treatment? Gas treatment is the most aggressive of our methods, reserved for severe cases. 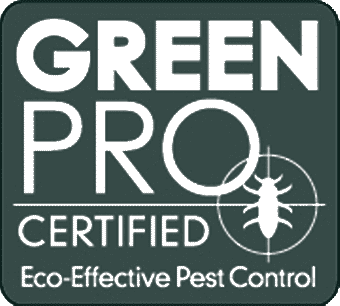 When all pre- and post-treatment instructions are properly followed, gas is 100% effective in eradicating the targeted pest. Heat: Can the treatment spread the problem to my neighbor’s apartment? The first step in our Ambient Heat Treatment Program involves sealing of all cracks and crevices. By sealing these structural openings, targeted pests are prevented from spreading to neighboring apartments. Heat: Is there a risk of fire with heat treatment? During heat treatment, the temperature within a structure is typically raised between 135 and 145 degrees Fahrenheit. MMPC’s equipment is specifically designed to raise temperatures safely. Remote thermometers and wireless infrared readers ensure that high temperatures are safely achieved and maintained. Job sites and active equipment are constantly manned and monitored through all phases of treatment — from the start through completion. Heat: How do I prepare for thermal heating treatment? Prior to any thermal heat treatment, MMPC clients are supplied with a thorough set of preparation instructions, with detailed information for the preparation homes, furniture, possessions and kitchen items. If questions arise during preparation, MMPC experts are available 24/7 to address questions and concerns. Heat: If the treatment takes 6 to 12 hours, how soon can I return after treatment? During thermal heat treatment, temperatures inside your home will rise to 140 degrees Fahrenheit. Like a car with the windows closed on a warm day, this heat stays trapped within your home for quite some time. As a precautionary measure, clients are required to vacate their homes until the temperature drops to levels that are safe and comfortable for occupation. This can take 90 minutes or more depending on the size of the area(s) heated. How quickly will the MMPC Pest ID Center review my sample and identify my pest problem? Our entomologists are available to review and identify samples seven days a week, and can generally provide identification within two hours, if the specimen is received during normal business hours (8:30am to 6:00pm weekdays, 10:00am to 6pm weekends). If the specimen is received after normal business hours, we will follow up as soon as possible in the morning. Ants: How can I tell if I have ants? Taking a clear photo or trapping a specimen are critical to species identification. If possible, try to investigate where the ants are originating from and how they are gaining access to your space. In many cases, trimming back bushes or branches near windows can result in long term elimination of an ant problem. Ants: How can I prevent an ant problem? There are a few habits that you can adopt that will help prevent an ant problem. Residual food odors attract ants, so it is important to clean up after meals to eliminate crumbs or food remains. Do not leave uneaten food or dirty dishes out for long periods of time. Frequently and thoroughly cleaning your kitchen can also eliminate anything that might attract ants. Bed bugs: What do bed bugs look like? It is a misconception that bed bugs are too small to be visible. Mature bed bugs can be seen by the naked eye — they are the size of an apple seed and range in color from brown/rusty red to bright red. Bed bugs: What do bed bug bites look like? If you have suspicious bites on your arms or legs upon waking in the morning, this could be an indication of the presence of bedbugs. Though people experience different physiological reactions to bed bug bites, the bites generally appear as raised red bumps in clusters of three or four, and are most often found on the appendages. The bite pattern results when bed bugs are disrupted while “feeding”, which can cause them to make a few attempts. Bed bugs: How can I tell if I have them? Waking up with bites would be the first indication of the presence of bed bugs (see our FAQ: “Bed bugs: What do bed bug bites look like?”). Bed bugs travel between walls, so a bed bug problem in a neighboring or adjacent apartment might also be cause for concern and investigation. MMPC’s bed bug detecting Canine Inspection teams have a 98% success rate in sniffing out bed bugs and viable bed bug eggs. Our teams are certified by the National Entomology Scent Detection Association and keep their skills sharp through daily conditioning and training. Bed bugs: How long does it take to get rid of them? The duration of time depends on the treatment method. If we are using EcoSMART pesticides, and all your belongings need to be treated, two treatments are usually required, spaced two weeks apart. For this method to be effective, clients are required to follow all pre- and post- treatment instructions. Alternatively, MMPC’s heat treatments can be quicker and less time consuming for clients. Bed bugs: How do I know if they are gone for good? If you have received proper treatment from a reliable pest control company (following all pre- and post- treatment instructions in a disciplined and detailed manner) — and you do not see any evidence of bed bugs and are not being bitten — they are likely gone for good. Bed bugs: What can I do to prevent bed bugs? The best defense against bed bugs requires education on prevention and awareness. MMPC’s “How to Prevent Bed Bugs” brochure provides essential information about bed bugs and detailed steps and processes that can prevent a bed bug problem. Place mattresses and box springs in reliable encasements. When making travel arrangements, check online databases that list reports of bed bug problems at hotels and lodgings. Diligently check hotel rooms for signs of bedbugs before settling in. If you have a bed bug problem, schedule regular treatments and follow up inspections with your pest control company. Follow all of your pest control company’s pre- and post- treatment instructions to ensure that you are taking all of the right steps to eliminate the problem. Perform regular inspections of your bed, bedding and belongings for signs of bed bugs. Avoid sitting on wooden benches or fabric surfaces in public areas, since these materials can provide harborage for bed bugs. Bed bugs: Do bed bugs spread diseases? Bed bugs have not been proven to spread infectious diseases. Bed bugs: How can I prevent them if I am moving? Many moving companies provide preventative treatment options, like fumigation, to ensure a safe and bed bug-free move. Our podcast with Jim Rueda, owner of Moving Right Along, provides information about fumigation and other preventative protocols that can be implemented during the moving process. Bed bugs: Why are bed bugs more of a problem now than in the past? The two main factors leading to the increase in bed bug populations are the global increase in travel and the evolution of pesticide-resistant bed bugs. Carpet Beetles: How can I tell if I have them? It is not always possible to distinguish between the damage caused by clothing moths or carpet beetles. Carpet beetles are more likely to damage a large area of a single garment or carpet, while moth damage usually appears as scattered holes throughout multiple items. Carpet Beetles: How can I prevent a carpet beetle problem? Carpet beetles are among the most difficult indoor pests to control because they can find food sources in obscure places and they can spread widely, throughout your space. Regular and thorough cleaning of rugs, draperies, upholstered furniture, closet interiors and other locations where carpet beetles may lay eggs is the best prevention and control strategy — although pesticide use may be necessary when there is heavy infestation. Food and sweat stains on fabrics attract carpet beetles, so dry cleaning or laundering items in hot water will kill these insects in all stages of life. This is the most common control method for fabric pests in clothing, blankets and other washable articles. If you have an infestation and are vacuuming affected areas, dispose of the vacuum bag immediately, since it may contain eggs, larvae or adult insects. Cockroaches: How can I tell if I have them? Cockroaches: How can I prevent a roach problem? Since cockroaches flourish where food and moisture are readily available, sanitation is an important step in prevention and control. Do not accumulate empty soft drink bottles, cardboard boxes and paper bags. Food containers should be sealed and any crumbs, spillage or residue should be thoroughly cleaned. Rodents: How can I tell if I have rodents? Rodents: How can I prevent a rodent problem? Since rodents flourish where food and moisture are readily available, sanitation is an important step in prevention and control. To prevent rodents from inhabiting your home, make sure to eliminate clutter (especially in the kitchen), and clean up thoroughly after preparing food. You can greatly reduce your risk of developing a rodent problem by sealing food containers, wiping up crumbs and spills, tossing out paper bags and cardboard boxes before they pile up. Empty soft drink boxes, soft drink bottles, cardboard boxes and paper bags should not be allowed to accumulate. Termites: How can I tell if I have them? Termites: How can I prevent a termite problem? You can prevent a termite problem by sealing all cracks and crevices in your home, fixing any water leaks and eliminating all standing water, dead wood and debris in rain gutters. Excess building materials and firewood should be stored in a location away from the structure of your house. A periodic termite inspection performed a pest control company like MMPC is also recommended. Who is responsible for removing a bed bug infestation in a rental apartment? In a tenant/landlord relationship, who is responsible for the cost of a bed bug inspection? In a tenant/landlord relationship, who is responsible for the cost of a bed bug extermination? If the landlord is willing to hire someone to inspect for or exterminate bed bugs, can I choose the company? What are the legal ramifications for landlords who do not remediate bed bug infestations for tenants? Who is responsible for removing a bed bug infestation in a condominium? Who is responsible for removing a bed bug infestation in a cooperative apartment? What is the Bed Bug Disclosure Law? What is local law 69? Does local law 69 apply to co-ops and condos? What is the penalty if a landlord does not provide a Bed Bug Disclosure Form? Is the building management required to notify all existing residents of a bed bug infestation? Are property managers required to inspect all apartments adjacent to a bed bug-affected unit? Can MMPC be an expert witness for my case? What is Convenience Pay (CPay)? Convenience Pay (CPay) is a voluntary program that enables MMPC to receive payment upon completion of service and/or as payment becomes due. How do I enroll in Convenience Pay (CPay)? First, select “Client Login” from the main menu of the MMPC site. When you arrive at the Secure Payment page, choose either “Enroll me” or “Not today” from the drop down menu. In addition to helping MMPC limit its environmental footprint, CPay enrollment eliminates the need for clients to re-enter payment information as future invoices come due. Yes. Your payment data is encrypted upon submission and stored on a secure server. No one (including MMPC staff) has access to your payment information. I am paying through ACH Debit (eCheck). Is it secure? Yes. ACH payments (eChecks) use the same secure network that financial institutions, businesses and governments use to send and receive payments. No one (including MMPC staff) will have access to your data, which makes payment with eChecks more secure than with traditional paper checks. What proof of payment will I receive? Clients will receive an automatic email confirmation of each payment provided. In addition, our system records all transactions, which are available to clients upon request. How can I cancel my Convenience Pay enrollment? You may discontinue your CPay enrollment at any time. Please provide cancellation notice by mail to the address posted on our Secure Payment page, and allow a minimum of ten business days to update your customer record. Cancellation notice can also be submitted by email to the link provided on the Secure Payment page. Yes. Payment methods can be changed by phone only, by calling MMPC at 212-219-8218. Please do not mail MMPC credit card or checking account information.